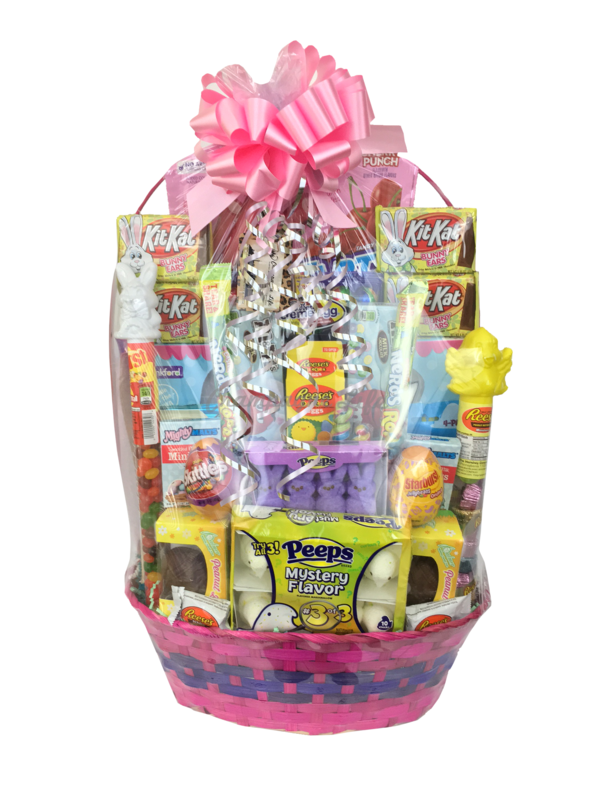 The Jumbo Candy Easter Basket is available for same-day delivery in Las Vegas, NV. The perfect Easter Gift Basket towering high with a variety of chocolates, gummy candy and Traditional Easter Candy! Design a Custom Easter gift basket today, call 702-214-1221. To design your own custom Easter gift or Mother’s Day Gift, please complete the custom gift order form. Be sure to check out our most popular gifts Birthday Gifts, Liquor Gifts and Champagne Gifts. You can view our other Mother’s Day Gifts and Easter Gifts. We deliver to all Las Vegas Strip Hotels, Las Vegas Businesses, and Las Vegas Residences. Champagne Life is proud to be the best Las Vegas Gift Basket company since 2013. Champagne Life can create client gifts for all holidays!